Blake Redmond turned his back on life as a big city cop when his partner betrayed him, costing him his reputation. When his wife and son were killed, he returned to Carder, Texas, the town he'd raised hell in as a young man, to become a Sheriff, running his town, his way. At least here, he can tell the good guys from the bad guys. The women in Carder may dream about Blake, but he's got no heart left to give. Blake - Unwilling WitnessAmanda's son just witnessed his uncle's murder at the hands of a corrupt detective. Amanda doesn't know who she can trust, but she knows her brother's best friend is one of the good guys. She's tracked him down, hoping they'll never look for her and her son at the home of the man her brother betrayed. Amanda tries to get to Carder, but on the road, they are attacked. When she and her young son stumble through a rare ice-storm and land on Blake’s porch, he plans Ethan - Unwilling Witnessto send them on their way, until he discovers his visitor has been shot and begs him to hide them. 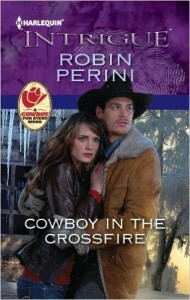 With no one to turn to but the Sheriff who blames her brother for losing everything, she prays this cowboy sheriff will help her protect her son and find justice.